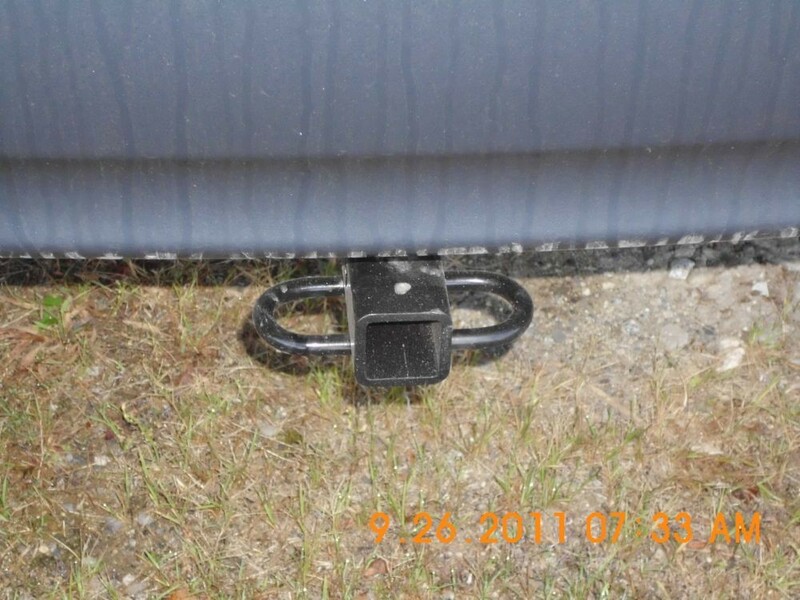 The best technical support and full trailer hitch installation instructions. 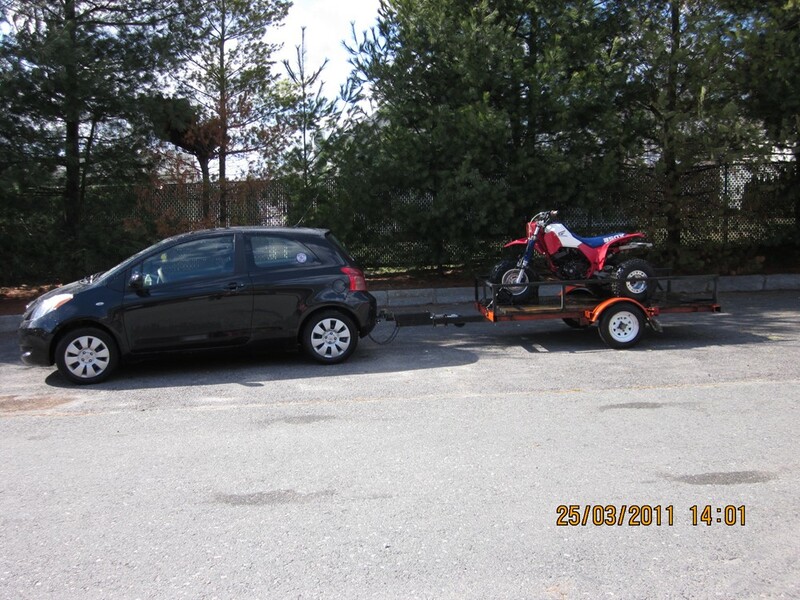 Lowest price Yaris trailer hitch guarantee and expert service. 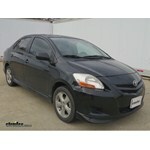 Toyota Yaris, 2008 trailer hitch by Draw-Tite are available from etrailer.com. 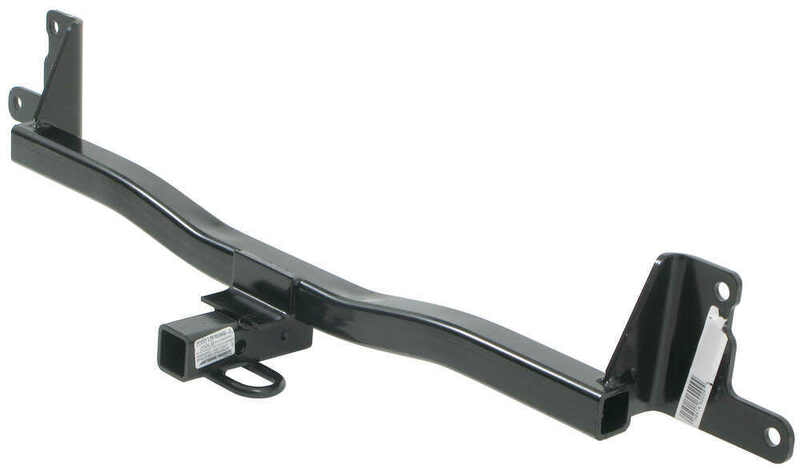 For expert service call 800-298-8924 to order your Draw-Tite Sportframe Trailer Hitch Receiver - Custom Fit - Class I - 1-1/4" part number 24819, or order online at etrailer.com. 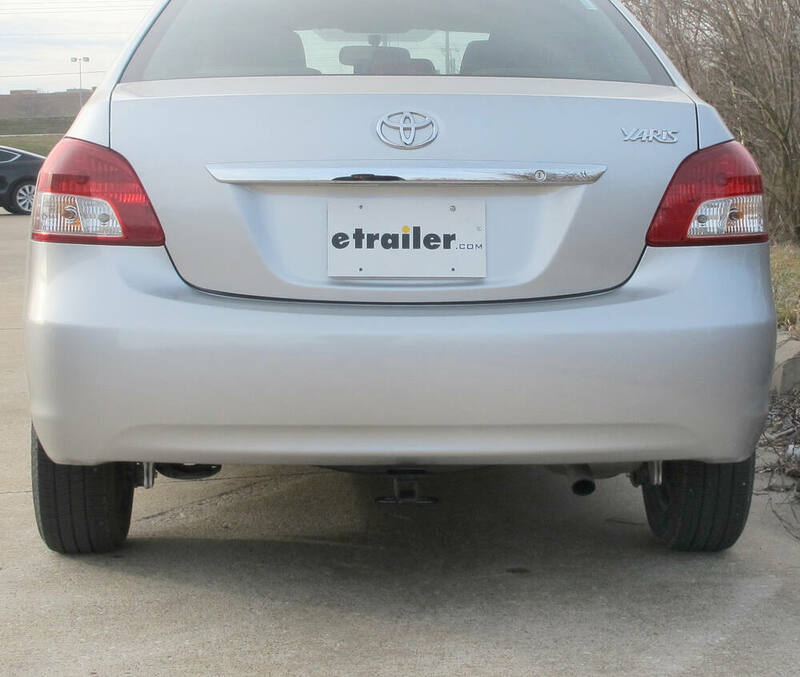 2008 Toyota Yaris - Draw-Tite Sportframe Trailer Hitch Receiver - Custom Fit - Class I - 1-1/4"
This fully welded, corrosion-resistant Toyota Yaris trailer hitch receiver is perfect for your light-duty towing needs. 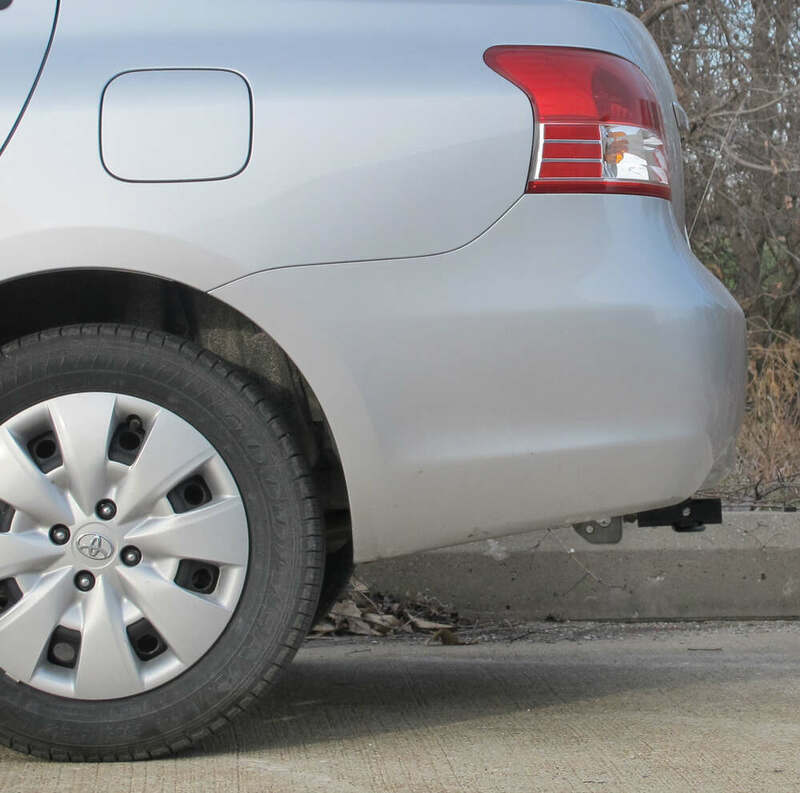 Draw-Tite's Tested Tough guarantee ensures that this hitch exceeds industry standards. 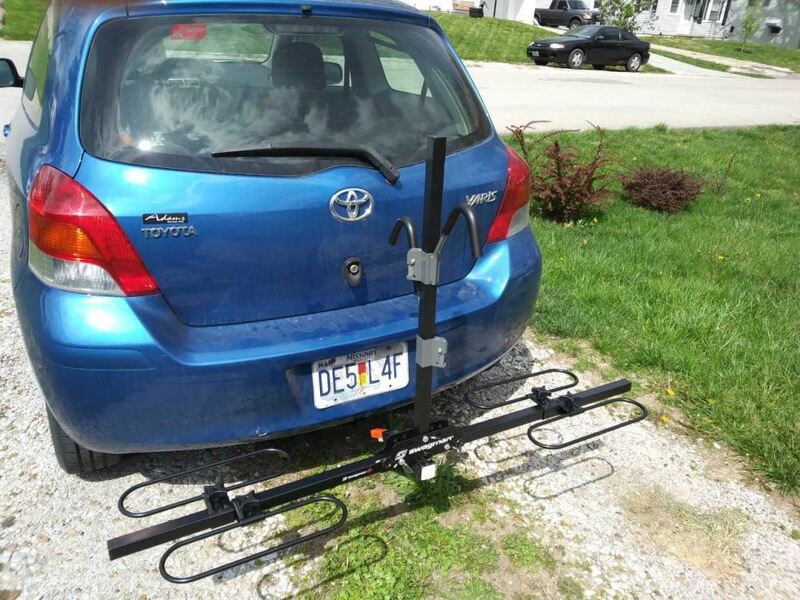 Drawbar sold separately. 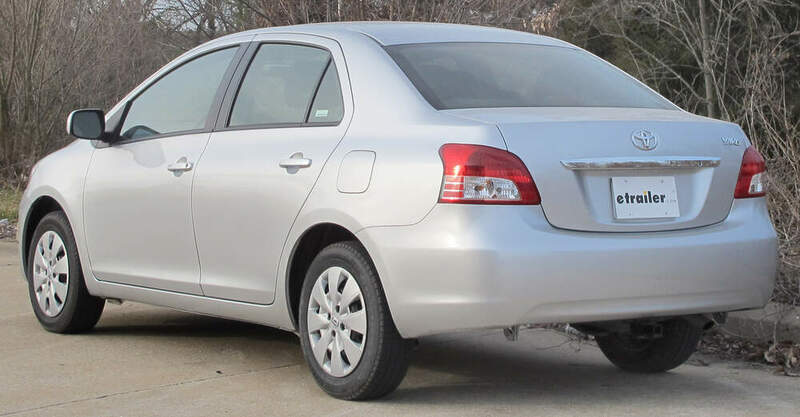 Today on our 2011 Toyota Yaris we're going to be taking a look at and installing the Draw Tite Sportframe Class 1 Trailer Hitch Receiver, part number 24819. 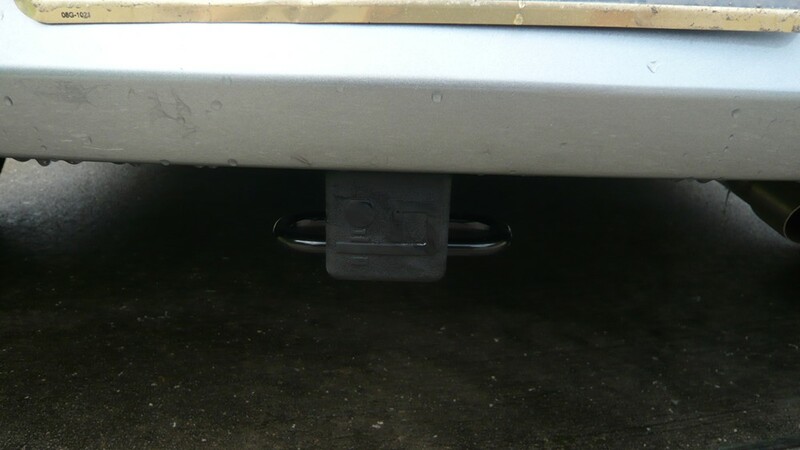 Overall I really like the way that this hitch is hidden, up behind the fascia here, other than what you're able to see that comes out right underneath there. 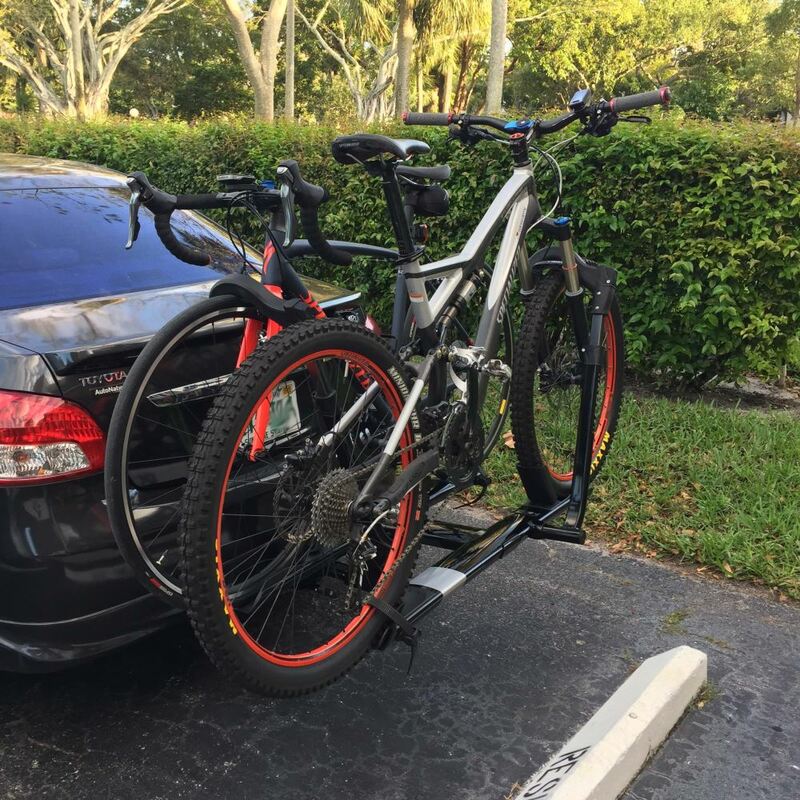 I think it's going to do a really good job of carrying any hitch mounted accessories, like bike racks or cargo carriers that you may want to use with this. All you can really see is the end of the receiver tube opening here which is inch and a quarter by inch and a quarter, and then the rolled steel safety chain loops right here. 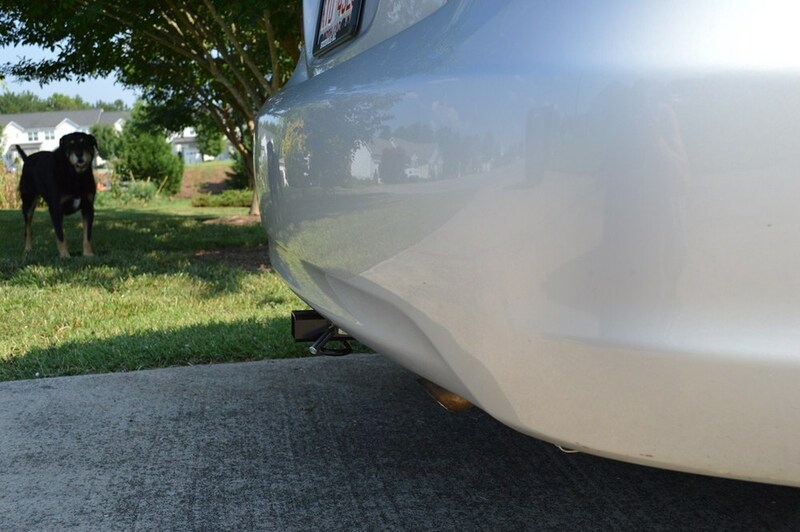 Also, you can see how tightly this receiver tube is up towards the fascia here, so that's going to help maintain that clean look, but that's also going to help give plenty of ground clearance. 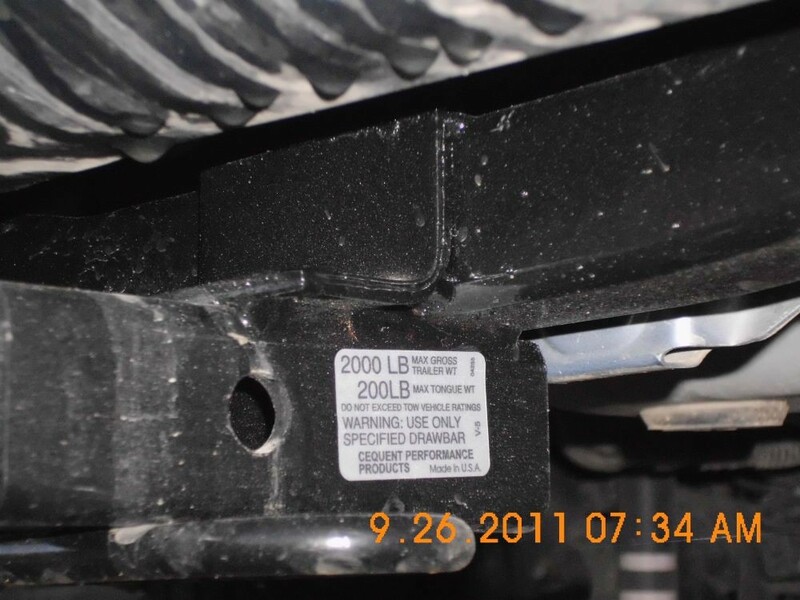 This hitch features a 200 pound max ton weight rating and a 2000 pound gross trailer weight rating. 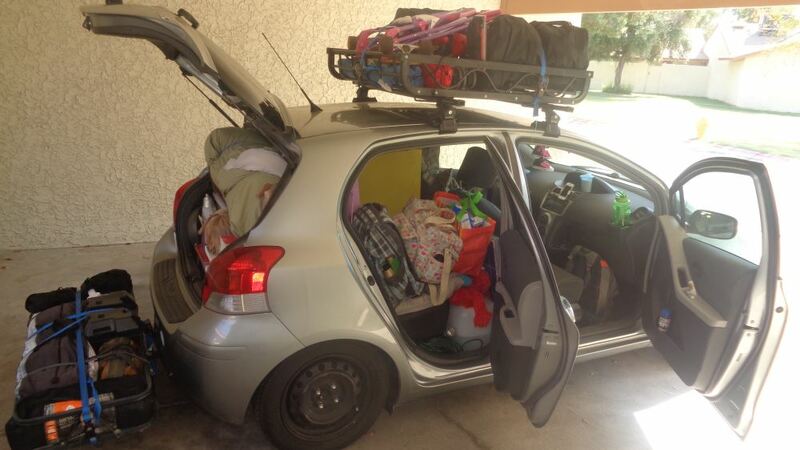 You will want to be sure to refer to the vehicle's owner's manual to see what type of weight the vehicle's rated for. 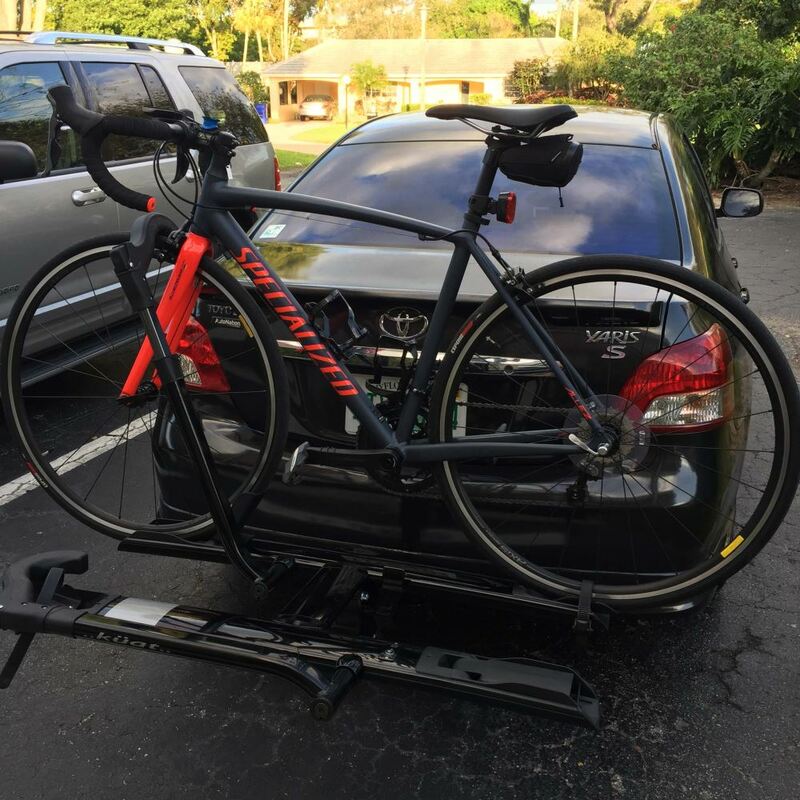 If it's not rated for that weight, you'll want to be sure to go by the guideline in the manual. 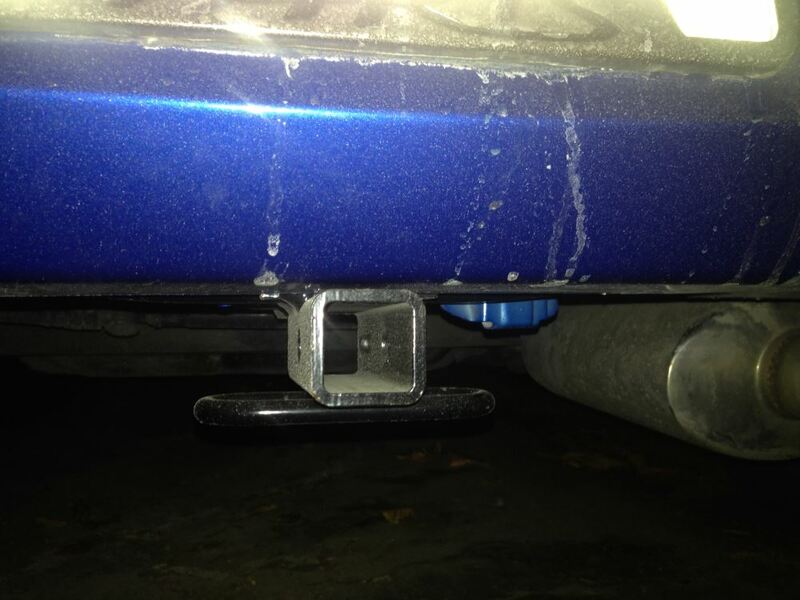 Now, I'll give you some measurements to help assist you with your selection of hitch mounted accessories. 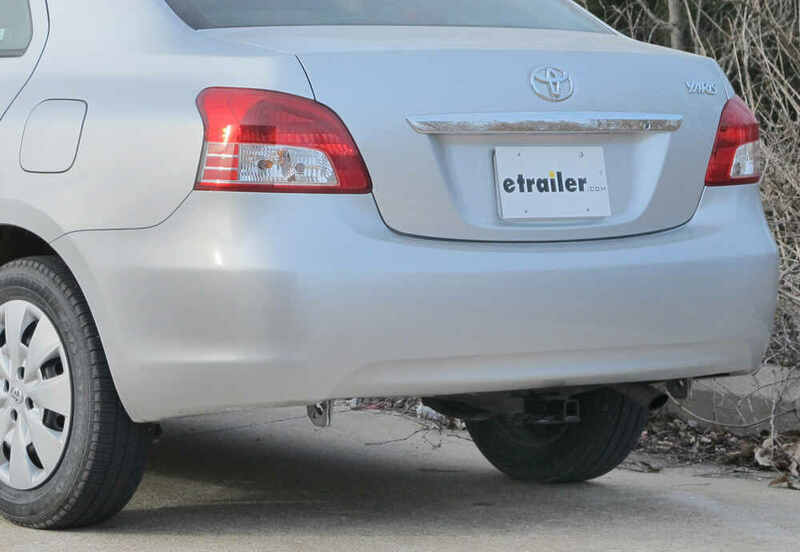 The distance from the center of the hitch pin hole to the outermost part of the rear bumper is three and three quarter inches and the distance from the top inside edge of the receiver tube opening to the ground is twelve and three-quarter inches. Now, let's show you how to install it. 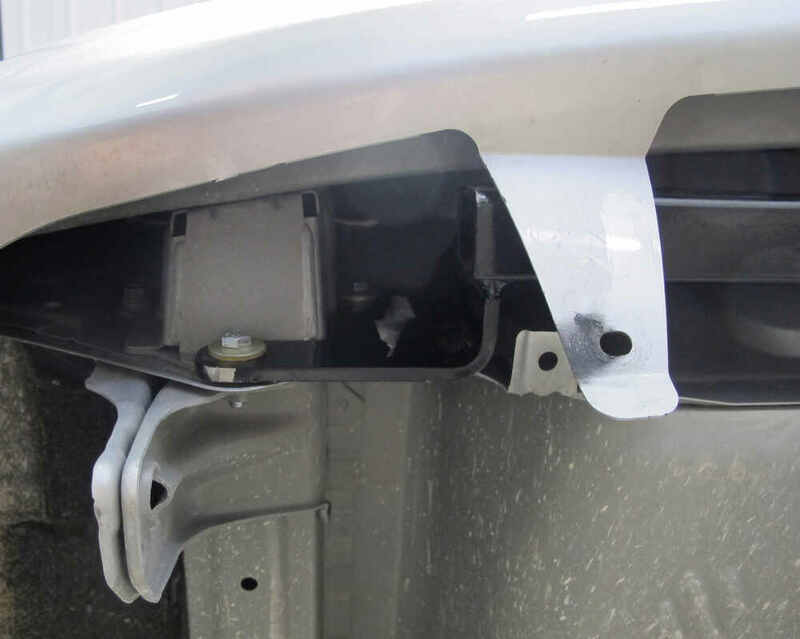 First thing we need to do to begin our installation is, we've got two plastic rivets here, so we'll need to remove those. In order to do so you can take a flat head screwdriver, pop the center of them out and the body of them should come right out, so I'll do that same thing on that other one. So now what we'll need to do is we'll need to take these two bolts out from these weld nuts. You need a twelve millimeter in order to do that. Then we'll remove these two bolts the same way. So once we put our hitch up into place, we'll be replacing the bolts that we took out with our new ten millimeter bolts with conical tooth washer. We've got the teeth on this side here, so they'll go down away from the head of the bolt and in towards the hitch when we put them into place. 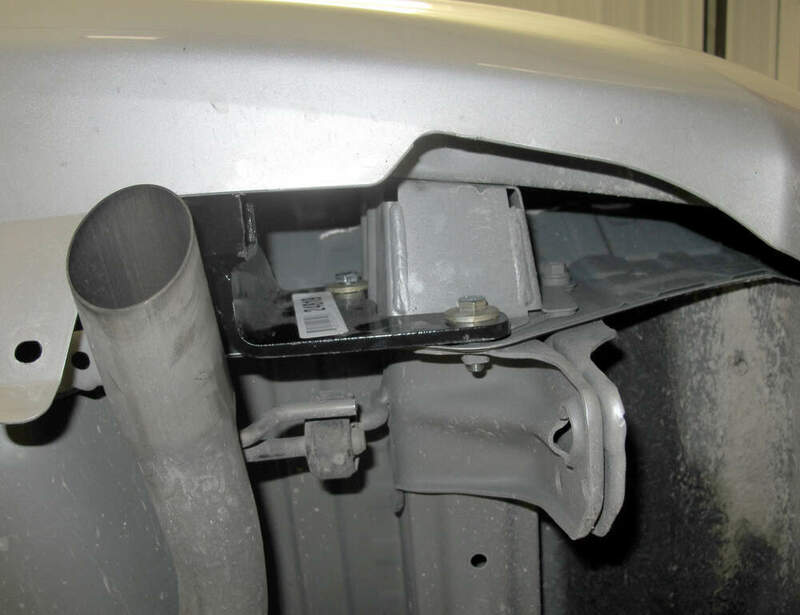 It's a good idea to grab a second set of hands just so you can pull these tabs down and feed it up over the exhaust on the passenger side, then you can work it across so you can get it up into position. Then you can get one of your bolts started with conical tooth washer on either side. Then we can go back and get the rest of our hardware started. So now we can take a half inch wrench or socket and begin to tighten them up. So now we can go back and make sure everything is torqued to the specification in the instructions. We can go back and reinstall the little plastic popper to this. 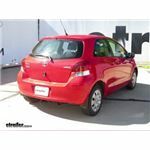 And that's going to complete our look at the Draw Tite Sportframe Class 1 Trailer Hitch Receiver, part number 24819 on our 2011 Toyota Yaris. How time flies. I couldnt be happier. The hitch is still operating great. 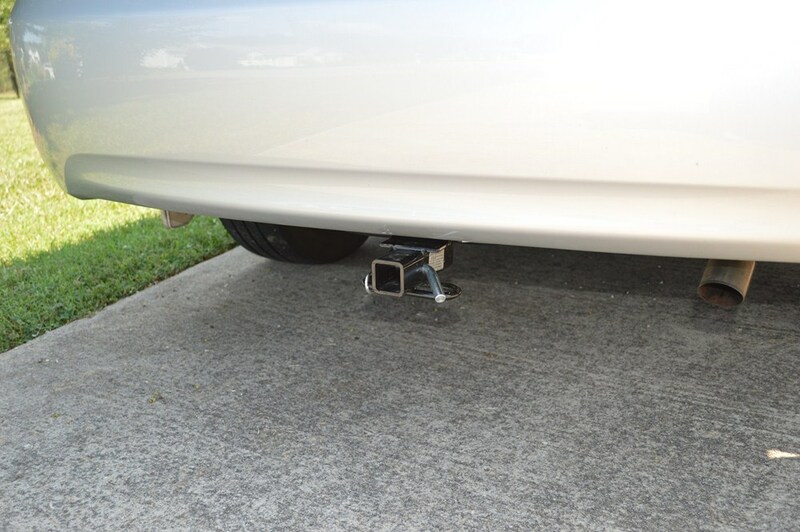 And one thing Ive noticed for this hitch as opposed to the one on my last car is that this one doesnt have the problem with the inside surfaces of the receiver swelling from rust. 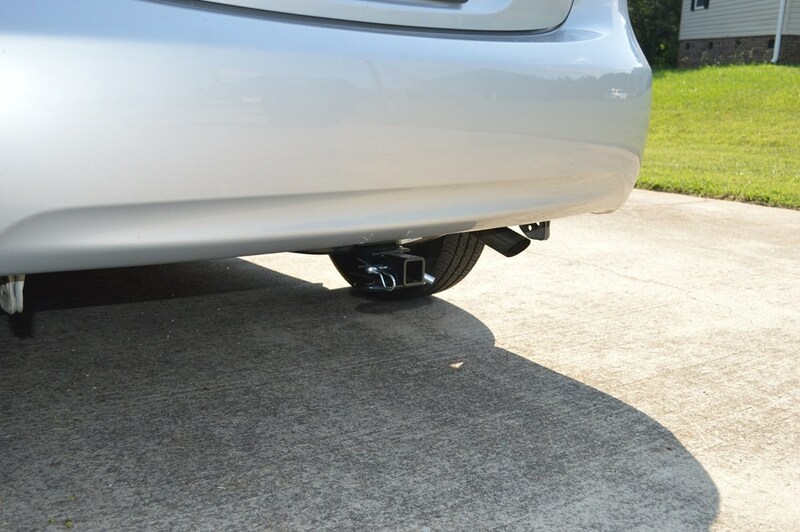 My last hitch I bought from a local company who installed it. I cant remember the name of the manufacturer. 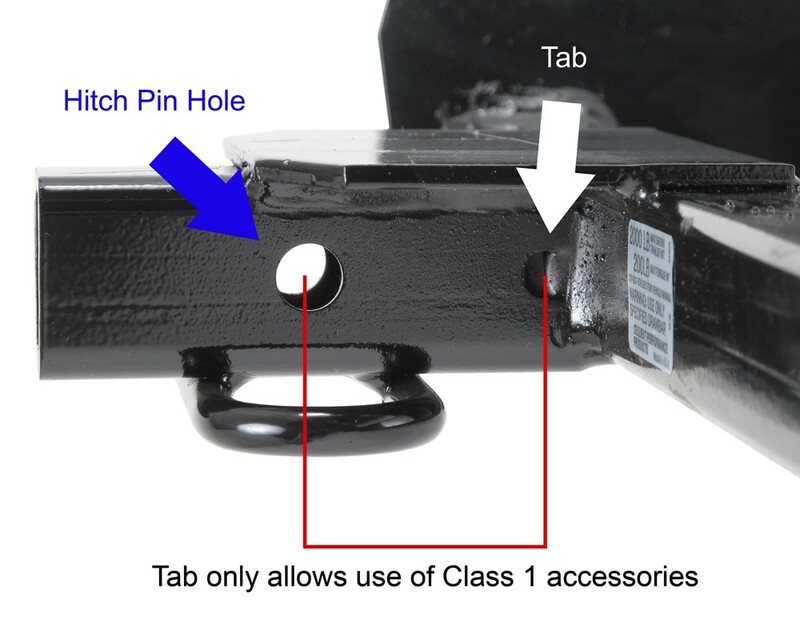 I had to often clean out the ID of the receiver with a reciprocating saw to allow the receiver bar to slide in without locking up in the receiver. So far I dont have that problem. A nice change. 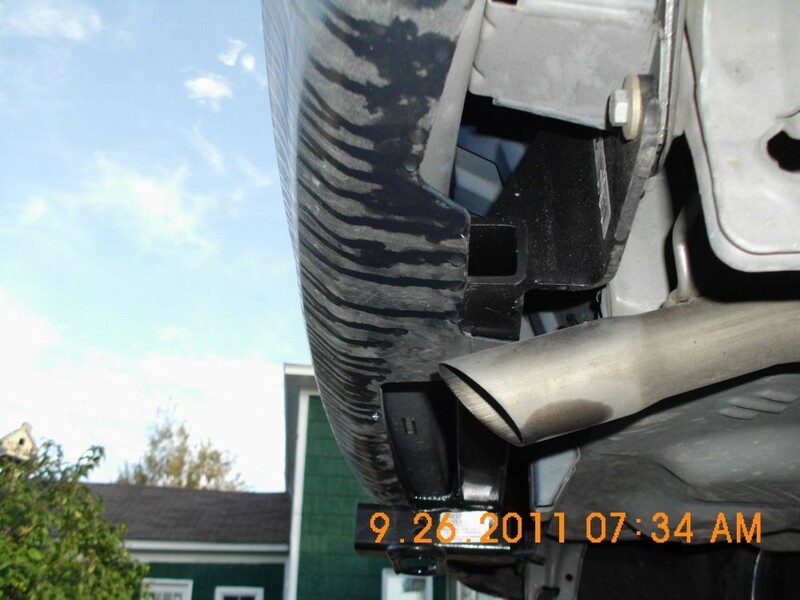 Im assuming the new hitch is of a better metal more resistant to rusting. Everythings good. No problems to report. 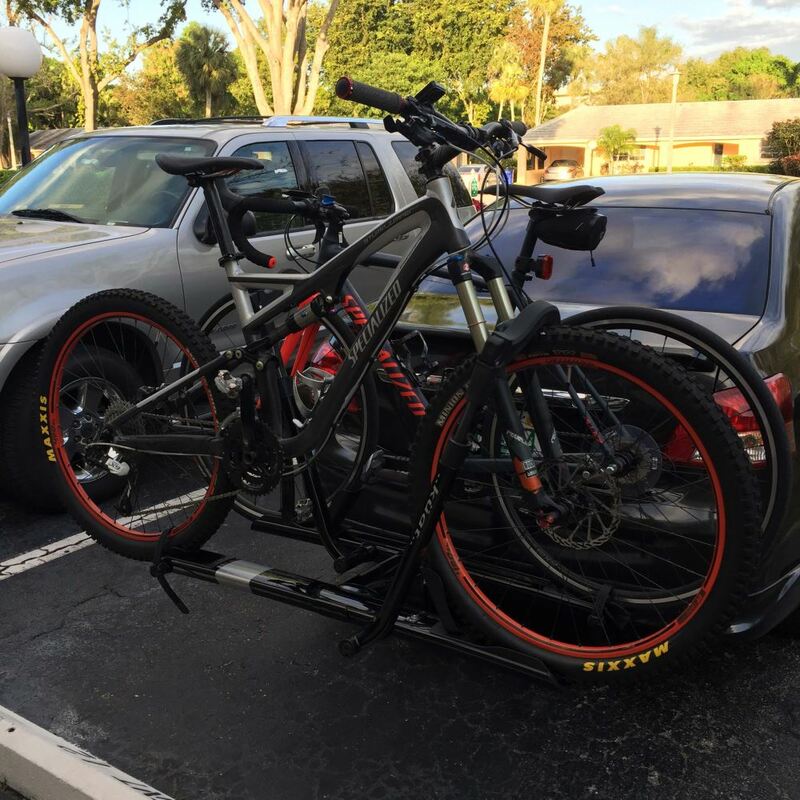 This hitch was awesome. Sadly, my car got totaled about a month ago. 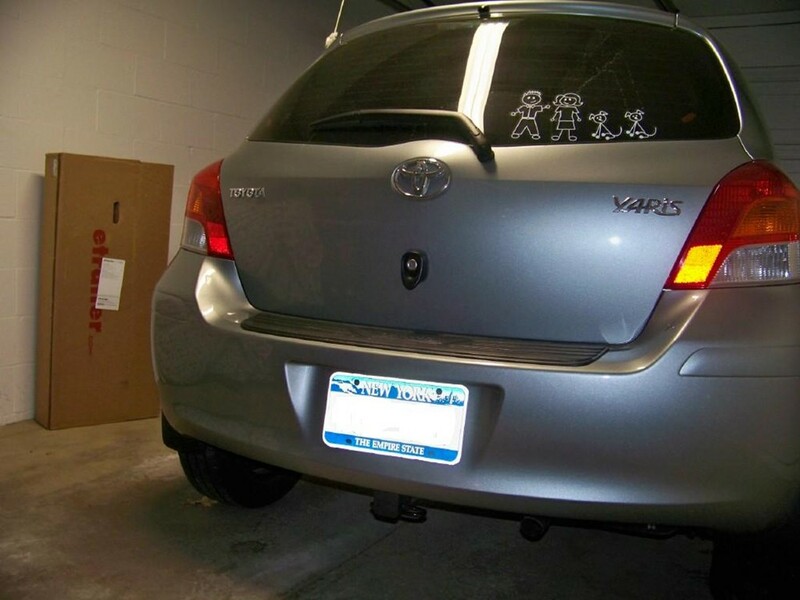 : However, one of the first things I did when I got my new car Prius C was get another hitch just like it Draw-Tite from you guys and I even installed the new one myself with your excellent video. Hopefully, I wont need another one for a long time though! 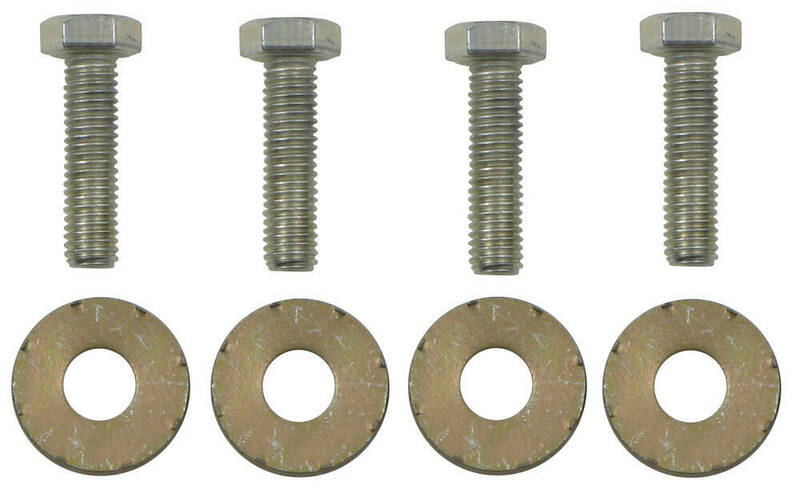 The washers that are included with trailer hitch # 24819, are conical tooth washers similar to # 01292-008. You are correct, they are sort of bowl shaped. The tooth end goes towards the hitch. 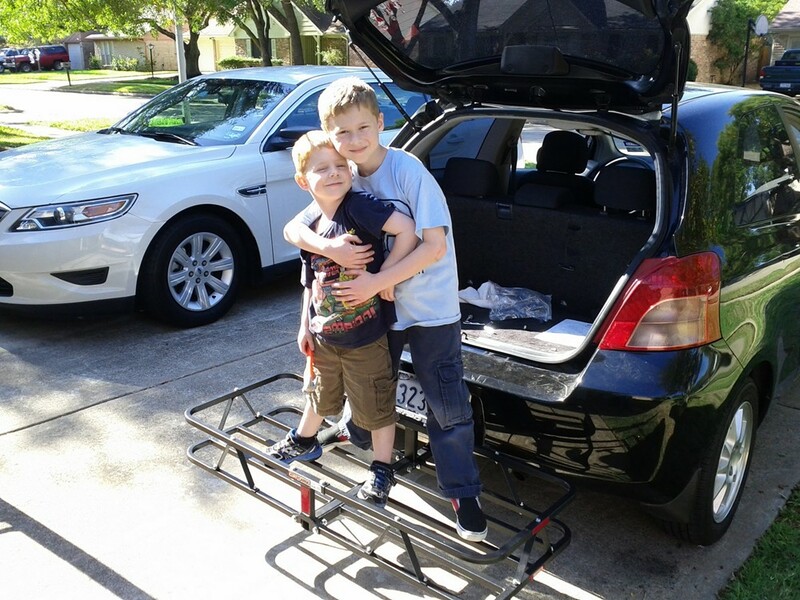 I have included a link to the installation instructions for the hitch. Using a thread locker like Loc-Tite, # LT37643, can be done but it is not necessary. The conical tooth washer prevents the bolt from backing out. All the necessary hardware to install Draw-Tite hitch, part # 24819, is included with the hitch. All of the nuts, bolts, and other hardware are shipped with the hitch. 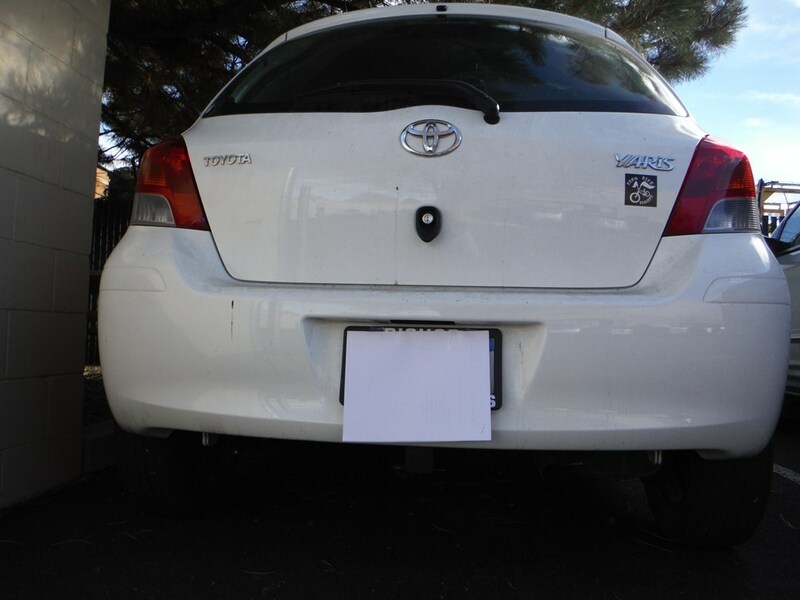 Will Curt Hitch and Drawbar fit a 2007 Toyota Saris?